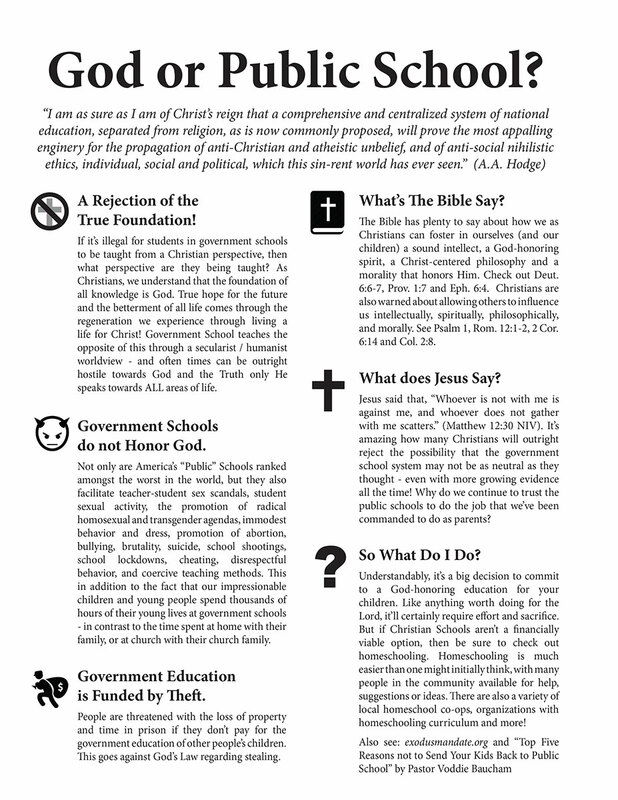 The graphic above can be saved and printed off (via left clicking on the graphic), or you can also download the PDF file (available HERE) and print off at your convenience. Do you have any thoughts on Christians and Public School, government school, Christians and Statism, the Exodus Mandate, Pastor Voddie Baucham or anything else related to this topic? Or are you a christian libertarian who has thoughts on whether taxation is theft or not? Feel free to leave us a comment! Are Many American Christians Handicapped by Statism? Axiom Illustration on Christian Star Trek?